I have always been enticed by the promise of technology. I am fascinated in how people relate to technology and what role it has in art and play. 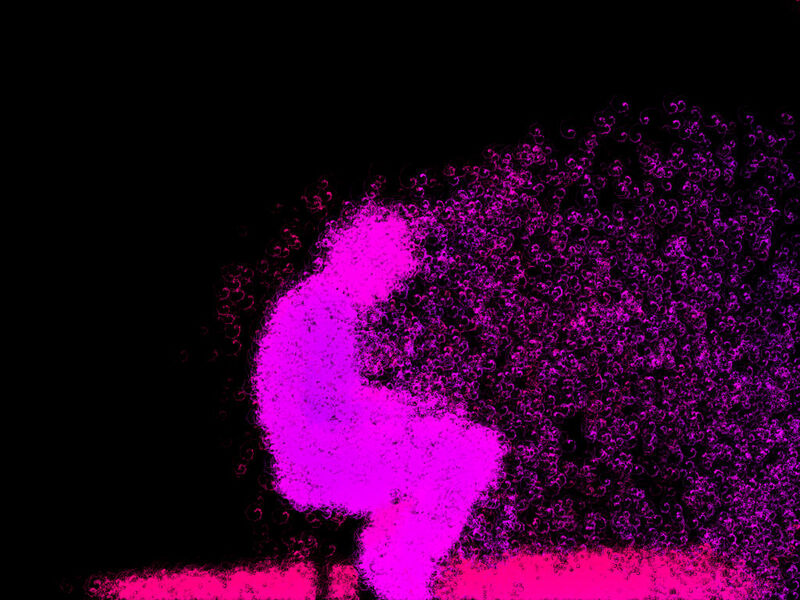 My work "Seated figure?" repurposes game technology, using it to set up a discussion as to what is our relationship with these new technologies. Who is leading who? In the work the viewer is the art, viewing the art, being viewed by the art. So who is the artist ? and what role can technology play in blurring these lines ? The culmination of 3 years studying e-media “seated Figure” was an interactive installation, a large projection using 3d sensors to monitor the space (a seemingly empty dark room with a lone softly illuminated stool). As a person entered the space imagery evolved, created from processing this raw depth data gathered by monitoring the space. The work constantly rescanned and redrew its self, writing more detail in the longer viewer stayed. The work was visually stunning while addressing notions of the role of the viewer, the ephemerality of beauty, and imagining a new way of seeing. The work captured moments of interactivity and and uploaded to an online gallery. These are just a few of those images. The full set of images from the gradshow can be found here.